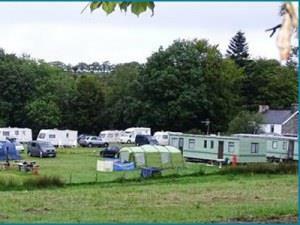 Aeron View Camping01974 251219work Holiday Park (CP)Set on the side of the Aeron Valley with views of the surrounding countryside this peaceful and tranquil spot is a hidden gem. The site offers spaces for tented camping, touring caravans, campervans, large RV'S and has 3 well appointed modern static vans for rental. It is very popular with bird watchers and photographers especially those interested in Red Kites as there are a population of around 70 birds which are fed daily and provides an opportunity to get close enough to see them as they swoop down for the food. Walkers, cyclists, motorcyclists (on and off road) and 4x4 enthusiasts also find the site well positioned for their pursuits with easy access to the Cambrian mountains and the Strata Florida Way. The grid shows the prices and daily availability from Mon 22 Apr 19 to Sun 28 Apr 19. It's easy to check availability for particular dates; just use the calendar to choose the check in date, select the number of nights and click the 'Search' button. Click the Book Now or Book Direct button to book the highlighted days. With Book Now the pitch booking will be confirmed immediately, with Book Direct the pitch reservation will be confirmed within 24 hours..
Set on the side of the Aeron Valley with views of the surrounding countryside this peaceful and tranquil spot is a hidden gem. The site is well situated between Tregaron and Aberystwyth just off the A485 and these together with Abereaon and Lampeter can be reached by car in around 20 minutes. By car:Just off the A485,12 miles from Aberystwyth 4 miles from Tregaron between the villages of Bronant and Tyncelin on the A485. A little tip. Do not take ANY B roads after Aberystwyth or Lampeter regardlless of what the sat nav tells you. Solid ie tarmac / concrete etc?